Co-operative housing societies may be suffering from governmental apathy but the latter never shirks from taking their help should situation demand. Sources say the Election Commission will ask the cooperative housing societies in Mumbai to help the EC officials at the booth level in the upcoming assembly polls. The move sources add will ensure a better turnout on the polling day. A circular will soon be sent in this connection to the secretary of the federation of the cooperative housing societies, claimed an official from the EC in Mumbai. Mumbai elections is going to be a keenly contested fight between Congress-NCP on one side and BJP-Shiv Sena on the other side. In such a situation the CHS has a challenge to maintain absolute neutrality. VOLUNTARY SUPPORT of Hsg societies to poll officials vide a legally enforceable order Section 79A of the M C S Act 1960 is in the offing!!! Most cooperative housing societies are aware that the State Government in Maharashtra has thrown Cooperative Society managements in to complete disarray through half hearted implementation of the Constitution (97th Amendment) Act 2011, (97CAA). 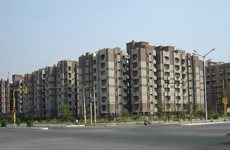 After a unsuccessful experiment to involve housing societies in Lok-Sabha Elections the Government is reportedly (TOI 16-09-2014) planning to rope the managing committees of cooperative housing societies by legal means to derive maximum benefit of their time (voluntarily given to society management ) to the advantage of the ruling front in the State in the Assembly Elections next month. By not appointing the head of 44 member State Cooperative Election Authority (mandated under 97CAA ) it smartly got a well orchestrated State Assembly decision [Section 166(4) of the M C S Act 1960] to extend the tenure of housing management committees for an indefinite period after their tenure of 5 years expire (in Contempt of Constitution mandating States to hold elections well ahead of expiry of 5 year tenure). This mess was reportedly through a deliberate plan to rope in cooperative sector in Lok-Sabha Elections (which boomeranged). Now a bigger gamble of miss-using the State Government’s mandatory order making power under Section 79A of the M C S Act 1960 is reportedly in the offing. The Cooperators are hereby alerted to take preemptive steps to stall this move. In a modified stance this time the idea is to use the Mumbai District Cooperative Housing Federation Ltd to ensure a wider reach. Several Experts Committees on Cooperative officially appointed by Union Government recommended strengthening cooperative democracy by empowering Federations to have a decisive say in cooperatives, through membership by shifting power from the State Government. This has not been accepted and now the Federations are being legally forced to seek voluntary support of their member cooperatives. Politics can not be bound by any boundaries!!! The directive, to be issued in a few days, will reportedly ask managing committee members of housing societies to provide voluntary support to the election officers. A circular will then be sent out by the secretary of the federation for informing the managing committee members of housing societies to “voluntarily support” the booth-level officials in the EC’s work as that is the basic principle of cooperation; No compulsion but purely voluntary participation. Members will be asked to help booth-level officers to verify names of housing society residents on voting lists and distribute voting slips it is reported. Deputy chief electoral officer Shirish Mohod feels that “The circular will be an attempt to sensitize voters and encourage a better turnout on election day.“ But according to Indrani Malkani, trustee of V Citizens Action Network (VCAN), under Section 79A of the Maharashtra Co-operative Societies Act, 1960 has already issued a circular from the co-operation department no. SGY 2009C.R. 23514-S dated April 19, 2010, asking all BLOs (booth-level officers) to seek a voluntary support of the `office bearers’ of co-operative housing societies. State’s Power to issue mandatory orders under Section 79 has been upheld by the Judiciary also. But voluntary compliance under mandatory order is a new concept may come up for judicial review some day, hopefully before the term of next house of Assembly completes its tenure. Section 79 reads as under: “If the State Government, on receipt of a report from the Registrar or otherwise, is satisfied that in the public interest or for the purposes of securing proper implementation of co-operative production and other development programs approved or undertaken by Government, or to secure the proper management of the business of the society generally, or for preventing the affairs of the society being conducted in a manner detrimental to the interests of the members or of the depositors or the creditors thereof, it is necessary to issue directions to any class of societies generally or to any society or societies in particular, the State Government may issue directions to them from time to time, and all societies or the societies concerned, as the case may be, shall be bound to comply with such directions.” There is no use of the term “Voluntary” The media reports seems to be unintentionally misguiding the cooperatives that the order is for voluntary compliance but the Law say something different. On one hand the Constitution (97CAA) directs under Article 43B. that “The State shall endeavour to promote voluntary formation, autonomous functioning, democratic control and professional management of co-operative	societies” The pioneering State in Cooperative Movement is about to issue legally enforceable voluntary action by members of the Committees of cooperative housing societies in the State of Maharashtra; really an example of a Model Conduct like Models of Bye-laws issued by the Commissioner and Registrar of Cooperative Societies in Maharashtra for voluntarily registration of cooperative housing society, or else do not register. Unfortunately the Cooperative Movement on fast track but in a reverse gear at the behest of a pioneering State of the largest democratic republic!! !